Predictions should only be made within a certain data range as these predictions were derived from values in that range. 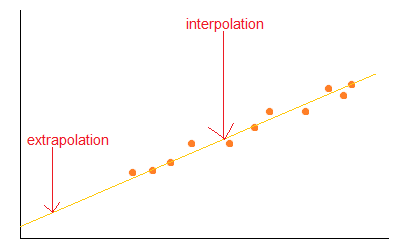 Predicting within the range of data is called interpolation. In the case where predictions are made outside of the data range, then those predictions are called extrapolations.